Full responsive design of the site, so that it looks great on your desktop and your mobile device. Anything you've posted in the past, as well as your accounts and galleries, will be transitioned over seamlessly. Yes, this means that you will now be able to keep up-to-date with the community from any smartphone, not only iOS where we had a dedicated app previously. On that subject, our iPhone app to access the community will no longer be working and will no longer be available going forward. The other change is that we will be replacing the support for NNTP access to the forums with the capability of replying to the email notifications. If you subscribe to a specific forum or discussion, you will get email notifications automatically, and you will simply be able to reply from your email client. This feature might not be available day one, but will come shortly after we go live with the new community site. The NNTP access to the community will stop on Monday November 17, 2014 in order for us to get ready with the upgrade on Tuesday. There are many more new things we will be able to do over time with the new Community Site, and we are looking forward to the next 100,000 members! Sorry Gérard but this doesn't look good at all. NNTP gave me a fast and easy way to see what was new, in all groups I subscribed to. It was also very easy to see if there were any new posts in threads where I had been active. 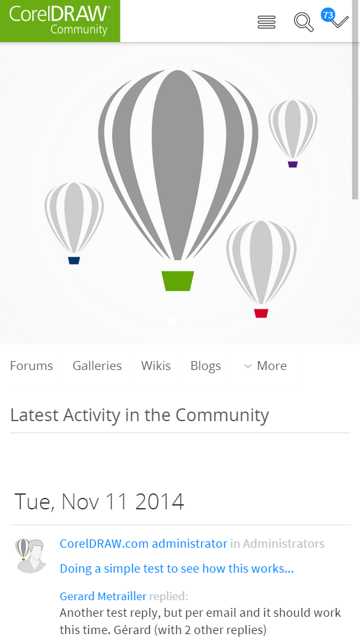 My first impression is that this forum has been created to look good, without thinking about usability. The old site was better, here is all higgledy-piggledy. I fully understand your comment Ronny, and while we have tried everything we could to keep NNTP support, we have not been able to find a solution. I look forward to still seeing you in the community from time to time. Removing NNTP support is NOT an improvement, and can in no way be replaced with an e-mail notification. This will most likely be the day when I say goodbye to coreldraw.com. At least my participation will be much more sporadic, and narrowed down to a few groups. I'll give it a chance though but I would be surprised if it can replace the ease of browsing the forum groups from an NNTP reader. 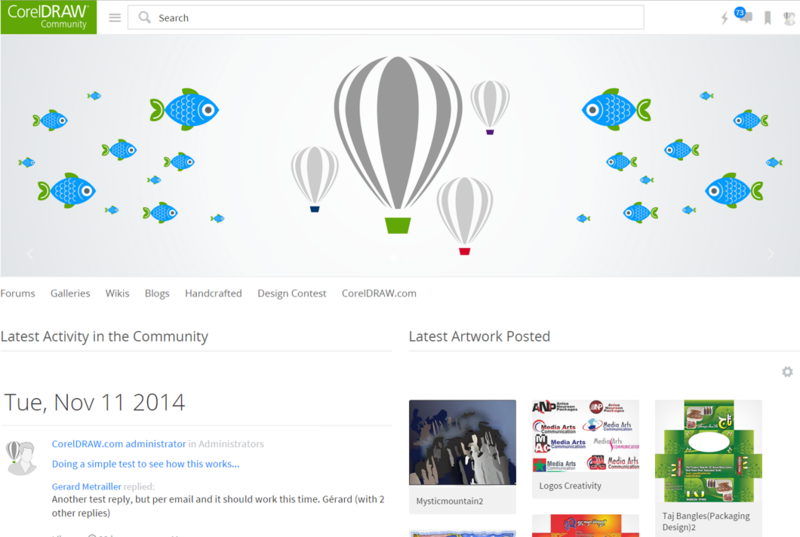 Corel, make corel draw much better, not community.coreldraw.com. It's important that this site to be professional, but its much important that errors/bugs to be resolved/fixed.